Miki took this picture at the Cloister of Asukanohikari Festival. The spider lilies in the paddies in Asuka are very beautiful. It was the season for spider lilies to bloom. 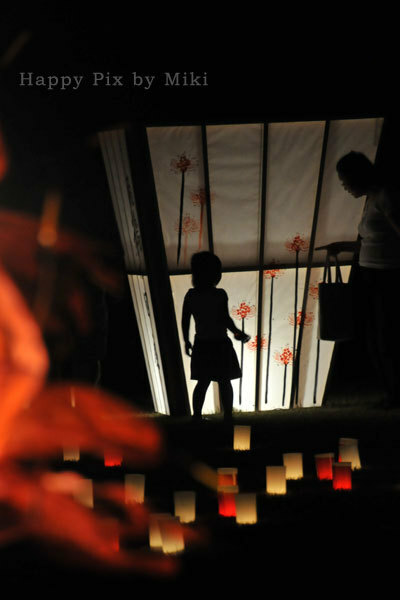 Instead of enjoying the actual flower, Miki enjoyed seeing drawing spider lilies on lanterns in Asuka.